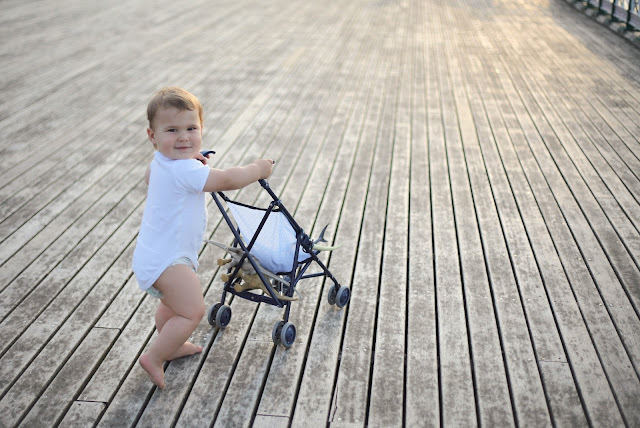 The one thing I love about summer's is warm evenings which at times in the UK seems few and far between but when they do come we take them, we don't worry so much about the kids routine and instead head outside and enjoy the moment. 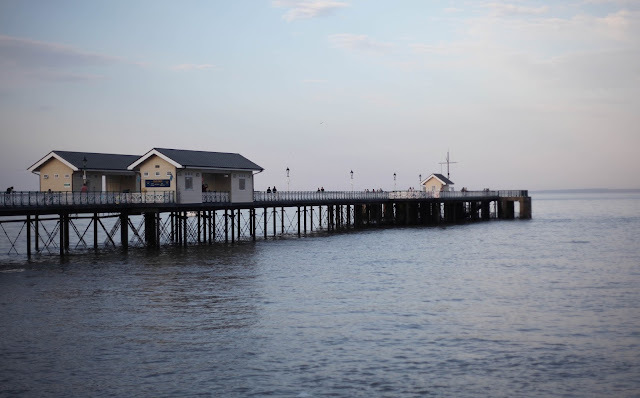 When we had a mini heat wave last week that is exactly what we did, I bundled the kids into the car and picked up John from worked and headed to Penarth Pier for a cheeky chips and ice-cream on the pier. There was a lot going especially with the RNLI sea rescue doing training in the bay with a huge Helicopter hoisting people up from the water and all the lifeboats out and about. There was also lots paddle boarders, jet ski's and people whizzing by in speedboats waterskiing as the water was so calm and perfection conditions for water sports, which provided perfect entertainment for the kids. My eldest is also fascinated with the tidal cycles, when we arrived the tide was in but by the time we had left it was going out again, revealing some sand for them to play on, it may seem like a small thing to us but to him this was magical. 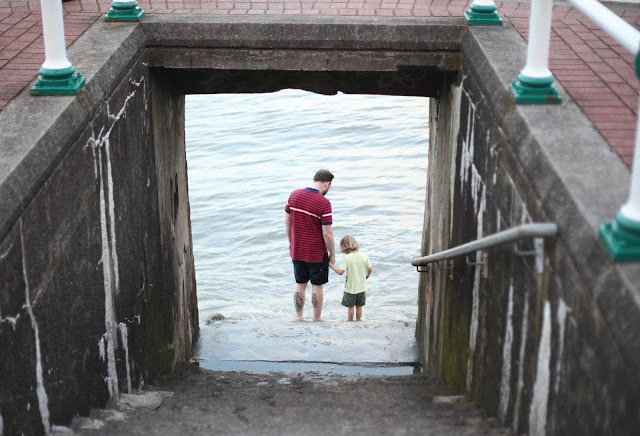 Life has felt really busy lately and my laptop hardrive failed last week and I lost a few weeks worth of work including images I had already edited, video footage and slowing down and spending time in the fresh air really made a difference. I often think I would love to do a course in mindfulness as occasionally in this modern world things just seem to go at such a fast pace and can be really pressured, Private Therapy London have some fantastic courses as do some Cardiff based clinics. Gorgeous photos! I haven't managed to get to the seaside yet this summer but hopefully soon - I love just looking out and feeling the sea breeze. I totally get what you mean about the pace of life. I try really hard with the whole mindfulness thing, but it's the times when you need it most that it's hardest. Like most things I guess! Lovely post. These are gorgeous pictures. A friend is getting married on Penarth pier so it's lovely to see these, as well as those sweet sibling pics.